"As good as he feels now, he is more focused on the Houston Rockets closing out their playoff series," a statement from Bush's office said. They did. Former President George H.W. 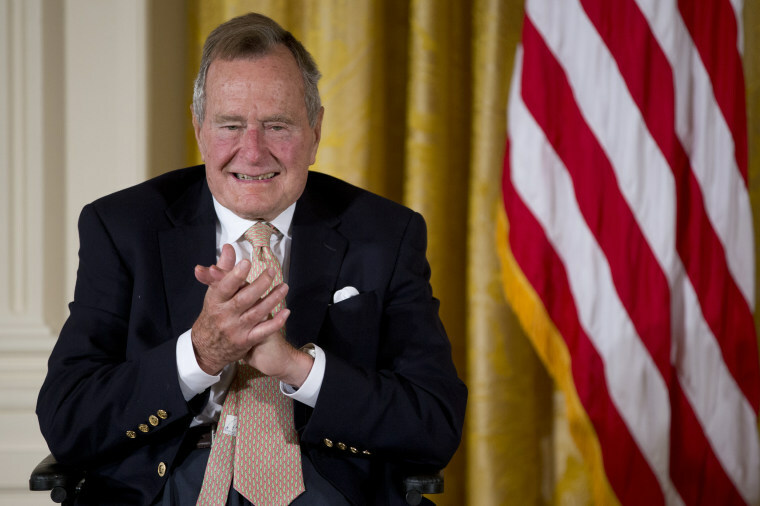 Bush has been moved from the intensive-care unit to a regular hospital room after being hospitalized for an infection that had spread to his blood, and is thanking everyone for their thoughts and prayers. Bush, 93, is expected to remain at Houston Methodist Hospital for several more days, but the 41st president "is alert and talking with hospital staff, family and friends, and his doctors are very pleased with his progress," according to a statement from his office released by family spokesman Jim McGrath on Wednesday. Bush was admitted to the hospital on Sunday. His longtime wife, Barbara Bush, died on April 17. He was hospitalized a day after her funeral. Bush has a rare syndrome that mimics Parkinson's disease. In a surprise, Bush greeted some of the hundreds of mourners at Barbara's funeral. He is the nation's oldest living president. "President Bush naturally thanks everyone for their prayers and good wishes," the statement said. "He also wants to assure everyone that, as good as he feels now, he is more focused on the Houston Rockets closing out their playoff series against the Minnesota Timberwolves than anything that landed him in the hospital," the statement said. The Houston Rockets led the Timberwolves by three games to one before Wednesday night. They went on to win the game and the series, eliminating the Timberwolves from the playoffs.